The Imo State House of Assembly has dismissed reports making the rounds of plans to make a law that will enable establishment of an Islamic university in the state. 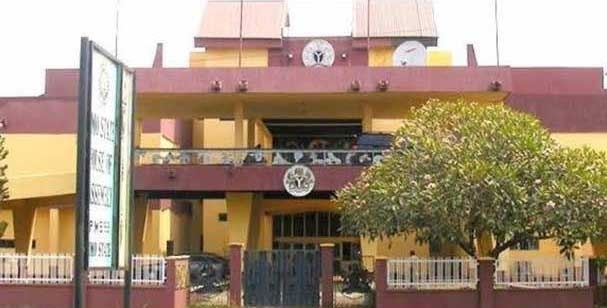 The Chief Press Secretary to the Speaker of Imo State House of Assembly, Marcel Ekwezuo in a statement to newsmen in Owerri on Sunday denied the report. Ekwezuo said the State Assembly only passed bills for the establishment of Chosen University and Bishop Shanahan Polytechnics among other people – oriented bills passed. He stressed that with such a law, it would only produce a legal backing for all Christian-based organizations and not Islamic university. The statement read, “The Imo State House of Assembly says it did not pass any bill for the establishment of an Islamic university. “Instead, the House passed bills for the establishment of Chosen University and Bishop Shanahan Polytechnics among other people – oriented bills passed. “The House passed ‘a bill for a law to establish schools of nursing and midwifery owned by faith-based organisations and other private establishments in Imo State. “The decision of the House to pass the bill for establishing schools of nursing and midwifery owned by faith-based organisations and other private establishments in Imo State was because the House had earlier passed into law, a similar bill to establish Imo Catholic Schools of Nursing and Midwifery, which gave rise to various Churches or Christian denominations to seek approval for government recognition for their schools of nursing and midwifery.